Some of the best shopping techniques are definitely a little unorthodox. Deal hunting on your lunch break, standing on lines just to consider buying things, perhaps even diving into large boxes head first while wearing office casual, all ways of expressing your fervent inner deal huntress. Shopping off season? Another common pro-tip. This type of deal will bring you directly to the Christopher Fischer sample sale on 7th Avenue, between 37th street and 38th street. The doorman asks that we please pardon the sewer-esque smell in the lobby, as the building (500 7th ave) is experiencing pipe issues. We pardoned it, only to be ferried up in the wrong elevator to the creepily empty 16th floor. With no signage and watery eyes from a very strong smell, you have to heroically charge to the back elevators, where the proper site is revealed. 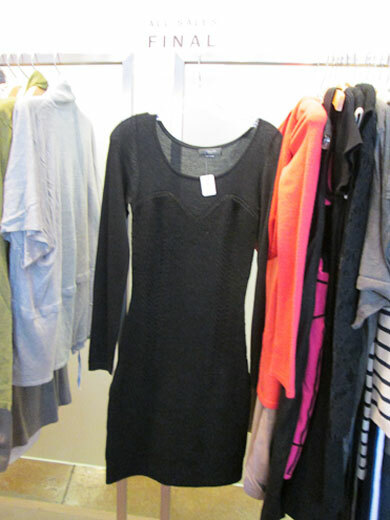 The sale was only about 600 square feet or so, and nearly wall to wall cashmere. Like we said, this is most definitely an off season sale. Prepare yourself for a slightly empty but heavily staffed atmosphere, where you might be watched, and probably are, so to avoid feelings of guilt try refolding that sweater you looked at 4 seconds ago. 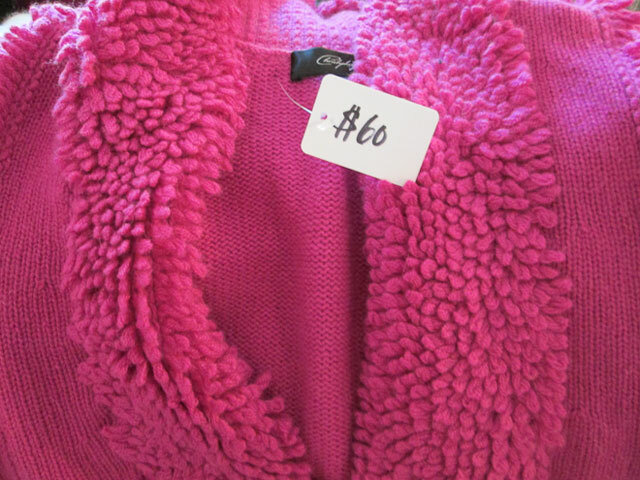 The middle is filled with $50-$70 price range light sweaters with many designs. 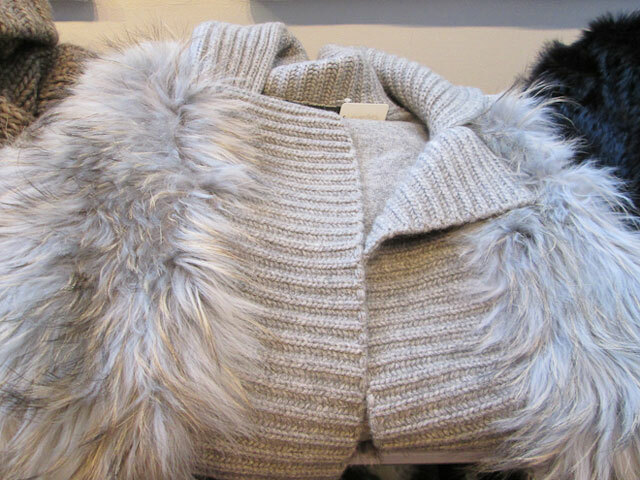 We saw solid basic colors, greys, beiges and blues. The graphics varied from maroon filigree leaves to greyscale leopard. A lot of these looks seem a few years old, so we would stick to the basics. 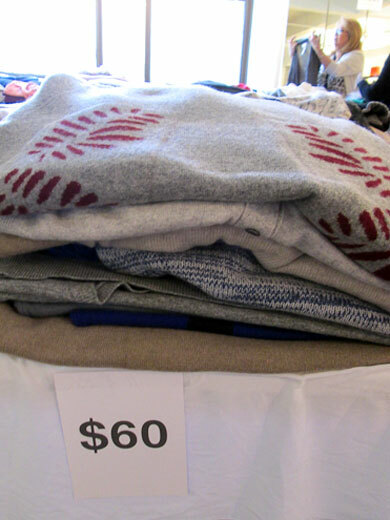 Men had a single rack with prices ranging from $35-$70 for cashmere sweaters and thin office sweaters. Next to these racks on the left were small children’s and pet sweaters for about $30. I probably wouldn’t be buying a $30 dog sweater, considering she tends to rip them pretty quickly, and kids outgrow clothing too quickly to justify cashmere. 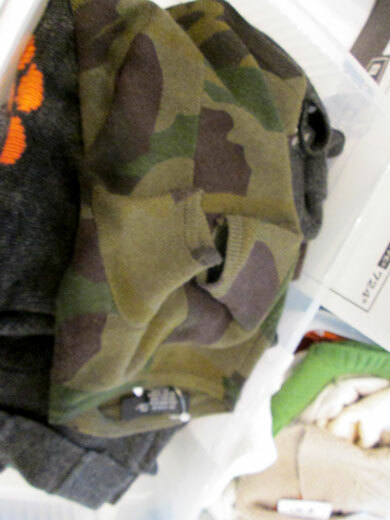 However the styles were cute with camo and bright colors to choose from. The accessories selection was simply scarves and belts, with scarves at around $120 and belts for $20. On the right side by the window we saw quite a bit of fur trimmed looks, clocking in at about $300 or so, meaning not too discounted. This was right about when we were asked to put away the camera, so our shopping adventure was cut short. This doesn’t mean the Christopher Fischer sale is not worth going to, it means this sale is for a very specific customer. If you know your fall and winter gear, go spend a Benjamin on a sweater for you and your pup, it will cost a third of normal prices, and though you can do better or buy cheaper at other sales, the sheer amount to choose from was much greater here, making it not a complete bust.